Potentially, this is the most interesting and exciting Wiki page we’ve ever worked on: http://social.technet.microsoft.com/wiki/contents/articles/10590.sharepoint-2010-best-practices-estimating-and-benchmarking-project-efforts.aspx On the other hand, it may well turn out to be a waste of our time. We’ll let you decide, we’ve taken the first steps. We very much want to encourage you to read it, appreciate it, contribute to it, or ignore it (hah, just when you thought you didn’t fit in any of the groups we went in for the kill!). Depending on what happens, it can become something quite special or we’ll just have to let go. We realize it can be near impossible (and admittedly, utterly useless) to give an ultimatum to a community, but we guess we just did! 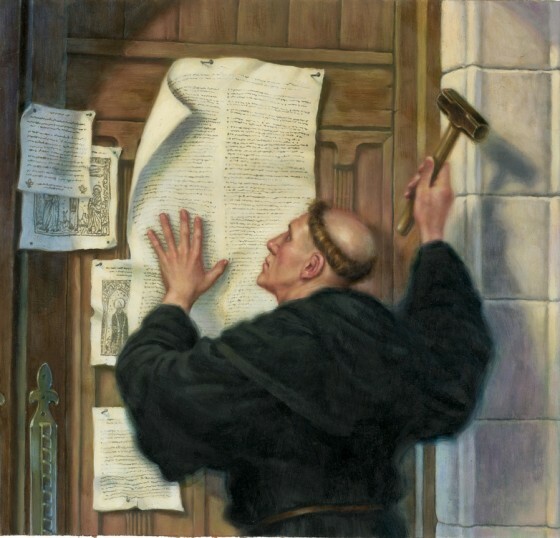 Martin Luther putting 95 theses on the door of a church.